119 Commercial Real Estate and Properties in Ipswich are listed in 7 categories. We have 58 Development Lands for Sale , 28 Retail Shops for Sale , 13 Offices for Sale , 13 Other Commercial Properties for Sale , 9 Industrial Warehouses for Sale and 2 Medical and Consulting Properties for Sale . 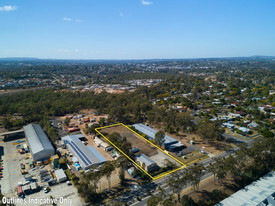 1,214m2 Block - Medical Precinct Freehold Sale Expressions Of Interest C..
3.06ha* With 2 Road Frontage Auction Venue: Ray White ..
Freehold vacant land 4 lots on 2 titles Fenced 3 sides with steel access gates Zoning REC Recreation and LDC Limited Development (constrained) Easy access to the Warrego Highway 10 minutes to Ipswich CBD and 35 minutes to Brisbane Approx Auction Venue: 81 Limestone Street, Ipswich This property is being sold by auction or without a price and therefore a price guide cannot be provided. The website may have filtered the property into a price bracket for website functionality purposes. 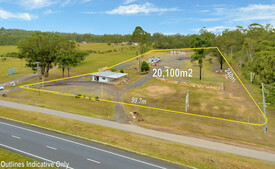 4.68ha* With 2 Road Frontage Auction Venue: Ray White ..
Freehold vacant land 2 lots on 2 titles Zonings REC Recreation and CON Conservation Easy access to the Ipswich and Brisbane Motorway and the Warrego and Cunningham Highway 12 minutes to Ipswich CBDa and 30 minutes to Brisbane Approx Auction Venue: 81 Limestone Street, Ipswich This property is being sold by auction or without a price and therefore a price guide cannot be provided. The website may have filtered the property into a price bracket for website functionality purposes. Where do I start here. The former Harrisville Bowls Club situated on 6 lots of land. The clubhouse is still functional, toilets, bars, cold room, dining area, hall etc. Maybe a sporting body, maybe a wedding centre, maybe turn into a great weekender, maybe a nursery, maybe build a house and lease out the clubhouse. Options are plenty. There is water to burn, pump from the back creek that bounds the back of the property, even in these dry times there is plenty of water and the Owner tells me the property is flood free as well. 6 x lots of land makes this very interesting. Council approvals would be required to change the use. The price should sell this property quickly! The time has come for the sellers to move on, they are overcommitted and would like this site sold. 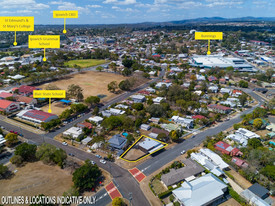 Situated on the eastern side of Ipswich only 2 minutes from Ipswich Highway/M2 is the 17,505m2 development site in Goodna which is approved for up to 52 units in a staged development and shows potential for 23 separate dwelling subdivision (STCA) under a community title scheme arrangement. Currently a freehold greenfield site with access on Bertha Street and great access to the major road network only the M2. This lot opens up to a landscape that is destined to be turned into a small community only 20 minutes from Ipswich and typical 26 minutes from Brisbane. Land 17,505m2 Proposed GFA 5,142m2 Proposed site coverage under current plans 2,904m2 Flexibility on the site allows for multiple dwellings and the possibility to increase or decrease GFA! Please Contact Ryan Langham for an IM. Approx Disclaimer: Ray White has not independently checked any of the information we merely pass on. We make no comment on and give no warranty as to the accuracy of the information contained in this document which does not constitute all or any part of any offer or contract by the recipient. Prospective purchasers / lessees must rely on their own enquiries and should satisfy themselves as to the truth or accuracy of all information given by their own inspections, searches, inquiries, advices or as is otherwise necessary. No duty of care is assumed by Orchid Avenue Realty trading as Ray White Surfers Paradise Commercial divisions toward the recipient with regard to the use of this information and all information given is given without responsibility. Located on one of the best round abouts in the town for passing traffic, this position would be extremely hard to beat. Currently a chicken take away with a drive through pick up already in place, the owners of this well know business are ready to move on and offer the premises to the market. Should suit a multitude of businesses. In house dining plus plenty of parking. Just over the town bridge and on the doorstep to Riverlink Shopping Centre and on a main feeder road to and from Ipswich City. Inspections invited. Rare opportunity situated on a prominent 1,889m2 corner block, with 2 street access makes this an attractive proposition in a busy progressive area. Licenced premise with 12 adjoining income returning units Zoned CBD Res High Density Mixed Use with multiple opportunities for use (subject to Council approvals) High profile location with excellent exposure and high volumes of passing traffic Downstairs hotel area consists of 2 separate bars, lounge, drive thru and cold rooms all in working order Upstairs includes working hotel kitchen and managers residence including 2 bedrooms, 2 bathrooms and living area 1,889m2 corner block with plenty of off street parking Sites of this quality don't become available to often, email your EOI by the set date for consideration. Expressions of interest closing 5pm Friday 11th January 2019. This property will suit the owner occupier or developer. Check out the location here, under 5 minutes to the CBD and easy access to the highway, plus located on the main road in this industrial estate, which offers B double access and 24/7 operational hours. Over 4,800m2 of prime land, fully fenced and has a very well designed shed located in the front left hand corner, allowing for further development, if you wish to proceed that way (ICC approvals naturally required). The shed is a beauty, featuring plenty of power and access points, high entry doors, a mezzanine floor, gantry, internal toilet and separate shower, plus an office with heaps of data and power points. There is a large concreted area adjoining the shed and the remainder of the block is mostly lined with blue metal for a excellent hardstand. There is also a donger included in the sale which is located further up on the block. I could keep offering up more on this property but if you're after an industrial property, I think you should definitely come look at this one. All genuine inspections invited. 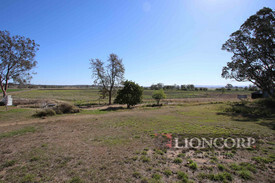 25.39 hectares of land with the development coming up the road towards this block of land. What an unbelievable place to live here, close to the amenities but on a super amount of land. All Inspections are invited to genuine purchasers and are by appointment only. Sought After Industrial Location 3 Minutes To The Ipswich Gpo Listed under $400,000 and..
Rare find this one. Block of vacant land crying out to be built on. 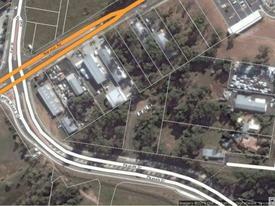 Move your business to this absolute prime location or build an investment shed and sit back and collect the income. Owner keen to sell. Fully functional building in an absolute top location on a busy feeder road. Partnership sell off with owner keen to sell. Fully set up office building with plenty of character and charm and a must to inspect. Plenty of off street parking with a private carpark which is a huge bonus and a brilliant spot to locate your business. Inspections by appointment. Keenly priced. This is a genuine find. Freehold building located in the main street of Ipswich CBD, in the popular top of town precinct with a former life as a major law office. Retiring owners have decided to sell the building (is available for lease) and this one is a must to inspect. Has the potential for upstairs and downstairs separate tenancies. Reception, offices and strong rooms etc. 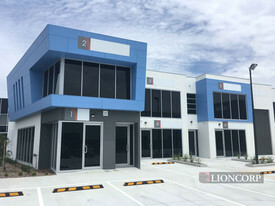 Pretty well ready to lease or ready for an owner operator to move into with a lot of the fit out in place. Parking is also a huge bonus. All inspections are invited. What a find here. The best of both worlds, develop now or sit and wait. Absolute charmer of a home with heaps of extras included and located on a big 3,667m2 block with a zoning for commercial uses. This zoning MCO3S allows for different commercial uses including townhouses (STCA). Live in or rent the property out until time for your development to take place. This amazing colonial has charm to burn, 3 big bedrooms, beautiful polished floors, renovated bathroom and kitchen, excellent covered outdoor area and a 4 bay shed with electric door, plus plus plus. Very handy location and nice views. Loads of future potential here. Genuine sellers wanting to downsize and keen to discuss. Major exposure guaranteed here with this property. 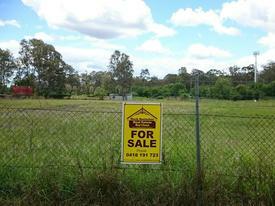 Situated on a very sought after strip along the main road at West Ipswich. Huge amount of passing traffic and plenty happening along this strip. This building is bounded by a new Hungry Jacks, Puma, Zarraffa's Coffee etc complex on one side and the Coronation Hotel Motel on the other. Down the road a short distance is Anaconda and Carl's Junior which has just opened up and diagonally opposite on the next block is the huge Bunnings complex. The building is split into two tenancies, one is 95m2 , vacant and ready to lease. The other side of the building which is approximately the same size, is currently tenanted to a take away business. The zoning of the property may include the possibility of a high rise site (subject to council approvals and zoning specifications), which in my opinion would be a huge bonus to a buyer with future development plans. The owners have said they are happy to meet the market and sell! The heritage award winning "Metropole Hotel" was built in 1906 and designed by renowned architect George Brockwell Gill. The two storey hotel has undergone various renovations for a modern bistro, outdoor cafe and beer garden, lounge bar and nightclub, and is still a good example of a Federation Hotel displaying fine detailing evidence of it's original design. Predominantly of brick construction the building has recently been re stumped and joists replaced. Current late night licenced (nightclub) premises with multiple opportunities for use (subject to council approvals) High profile location at the popular top of town precinct, a hub for dining and entertainment Excellent exposure with high volumes of passing traffic Downstairs area consists of a massive main bar with room for dining and outdoor alfresco area The impressive main entry separates a second bar/dining/function room with it's own front entry Each bar rooms with separate male/female toilet facilities Fully functional kitchen and cold rooms Upstairs disco/function room with bar, stage and elevated area overlooking the dance floor Second bar servicing 2 separate rooms for functions and entertainment and male/female toilet facilities 2 rear multipurpose rooms/offices and store room Rear entry secondary internal stairs to each level Underneath laundry room, cellar and storage area Secure rear courtyard with 2 functioning outdoor cold rooms Grand timber stairway, pressed metal ceilings, arched entrances, upstairs balcony, fire places, side and rear verandahs with iron railings 620m2 block with plenty of street parking and public transport close by Rare opportunity to purchase a slice of Ipswich history Out of town owners will consider trade opportunities as part payment of purchase price. Located On A Main Stretch And Almost Next To The Highway Owner Will Talk To Intere..
11686 sq metres of industrial type land where the owner will sell or lease. Prepared to enter into discussions to build a purpose built complex. Good location! Opportunity Knocks The Old Saying Position! Position! Position! Located On One Of Ipswich's Best Strips. Absolute Blue Chip Here. Prime Real Estate At Sale..